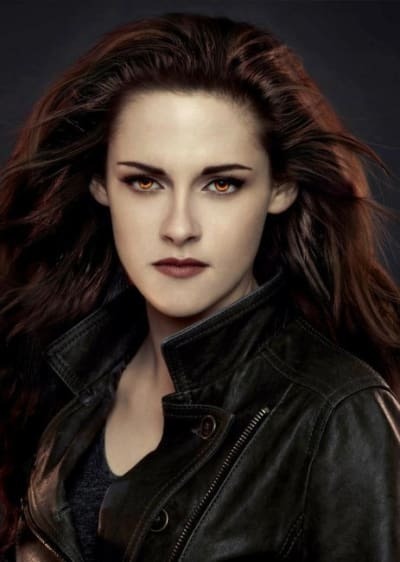 Breaking Dawn Part 2 is the final time that Kristen Stewart will inhabit the character of Bella Swan. Her feelings are mixed, she told Movie Fanatic. Since she debuted as Bella in 2008’s Twilight, the film has come to define the actress’ life of late. Stewart is not necessarily glad the experience is over, but is pleased with the conclusion for fans of Stephenie Meyer's book series. “I am so happy that the story is told, you have no idea. Usually you have five weeks to five months to look at a schedule and go, ‘Whew, that [final] day is coming up. That day is coming up.’ We had five years! So the fact that this thing is out and it's not weighing on us anymore -- super excited about that,” Stewart said. Throughout Breaking Dawn Part 2, Bella is a full vampire. Stewart certainly enjoyed finally playing Bella unleashed, but knows that her “normal” days all led to her moment glittering in the sun in the final Twilight cinematic chapter. 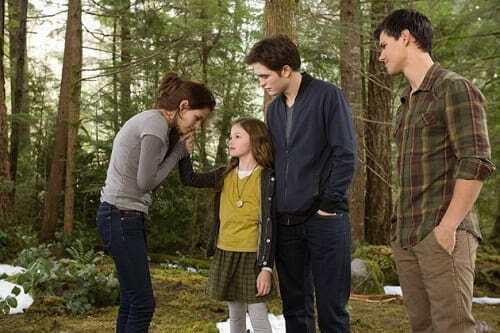 “I was really lucky to have played human Bella for so long. The best aspect of every vampire, all of the gifts, everything that makes them really special is always an enhanced version of what they were when they were human,” Stewart said. When a series, TV or film for that matter, comes to a close, the creative team has been known to take something that has sentimental value from the set. “I kept the rings. The rings are really important to me” Stewart said. It’s been pretty insane these last few years for Stewart, Pattinson and Lautner especially. Stewart admitted that she could not have made it through Hurricane Twilight without each one of those guys. “It's nice not to be alone in that,” Stewart said. If there’s a question that Stewart cannot answer right now, it's: What is next? Yes, there’s On the Road, but she has no design on a career path. She wants to simply take it a project at a time. “Things have fallen in my lap and I've gotten incredibly, insanely lucky to get the right feelings and meet people that share them and if I can keep doing that, I would be a happy girl,” Stewart said.